Getting pulled over and charged with driving under the influence will have you questioning many things. Will you go to jail? Will you have to pay fines? Will you lose your license? For some people, the questions also focus on getting treatment for drug or alcohol addiction. In which instances will you be required to get a treatment and is this a mandatory aspect of the DUI conviction in Arizona? Arizona is recognized as one of the states that have the harshest DUI penalties. This is the main reason why you have to be prepared for the various types of sanctions and changes that will stem from your DUI conviction. Counseling is usually mandatory in the aftermath of a DUI conviction. You will have to attend anywhere between 16 and 108 hours of counseling and education. To complete this part of your sentence, you will also have to do drug and alcohol screening. Some Arizona DUI attorneys advise their clients to do counseling voluntarily, even before they’re ordered to do so by court. This is a proactive measure on behalf of the defendant and it could result in a number of benefits down the line. Rehab treatment is not available or applicable to everyone charged with driving under the influence. For some people, however, this could be a life-saving opportunity. If you have a substance abuse problem, your Arizona DUI attorney could push for participation in a diversion program. In essence, you will have to go to inpatient treatment instead of prison. During the therapy, you will address your addiction as the main reason for your DUI. Hence, the rehab treatment option saves you from having to spend time in jail and it could also help you get your life back. A skilled DUI attorney in Arizona will negotiate the inclusion of their client in a diversion program. Obviously, this option isn’t always going to be granted. Still, it can keep you from spending time in jail, especially if you don’t have additional charges to address. 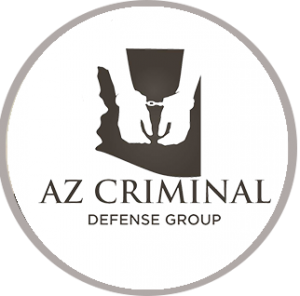 If you complete an Arizona DUI diversion program successfully, your charge could be dismissed altogether. Hence, you are provided with yet another incentive to seek treatment and get your life on track. Diversion programs can be administered either on state or on county level. There may be special DUI diversion programs like the one developed by the Maricopa County Superior Court. 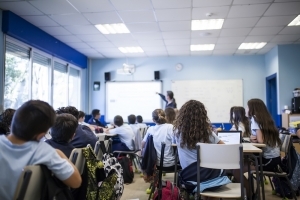 The program allows for reduction or setting aside of penalties and criminal convictions, it provides effective clinical help for substance abuse and it provides additional support/incentives for going back to school or finding gainful employment. Usually, such programs are available for first-time offenders who lack prior convictions and who have a BAC within a certain limit. There should be no aggravating offenses or circumstances like causing injury to others or committing vehicular homicide because of an impairment. Repeat offenders could also be sent for inpatient treatment but they are more likely to also have to serve jail time than first-time offenders. Residential treatment programs offer 24-hour care and you will not be free to come and go. If you plan to go to rehab, the respective facility will have to draft an extensive treatment plan that will be reviewed by the Arizona court. It would be best to seek assistance from a well-known, reputable facility that has a proven track record of success. Don’t hesitate to explore such possibilities and to discuss treatment with your DUI attorney. If you believe you are suffering from an addiction, that would be the best choice in terms of getting your life back. Click here for information on how serious is DUI in Arizona. How Serious is a DUI in Arizona? Unlawful Stop and Search Cases in Arizona? How to Get My License Back After a DUI?